Are you looking for a fuel-efficient, yet luxurious sedan? Would you like to find a 2018 Toyota Avalon Hybrid for sale in Watertown KY? If so, make sure that your first stop is Waite Toyota. We know you’ll find the hybrid sedan you’re after! Waite Toyota has a singular focus on the customer – that’s you. We are proud of our friendly and professional sales staff. 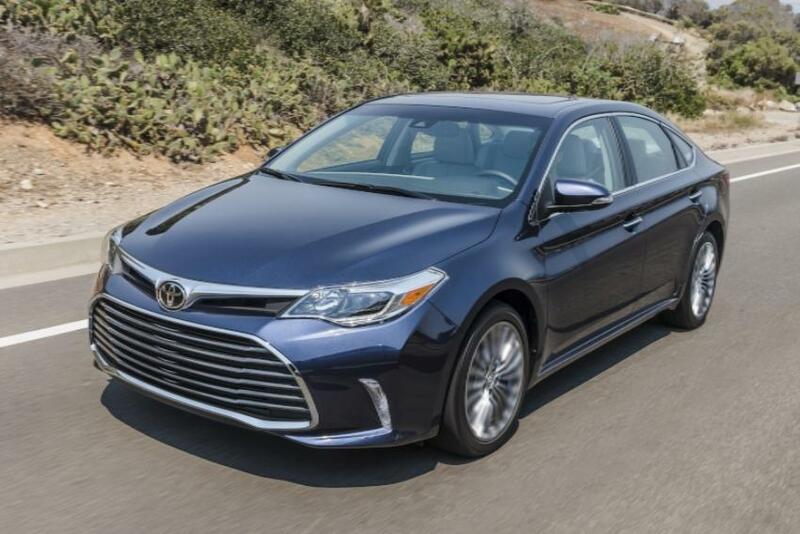 They will help you find the right 2018 Toyota Avalon Hybrid from our large selection. We look forward to assisting you through the entire sales process, then watching you drive away in your new Avalon in Watertown with a huge smile on your face! At Waite Toyota, we offer you a great many advantages when you purchase your 2018 Toyota Avalon Hybrid from us. Our high-tech Service Department and its well-trained and totally qualified mechanics and technicians have the in-depth specialized knowledge and experience to make sure that your 2018 Avalon Hybrid runs well for a long time to come. Should you need parts down the road, be assured that Waite Toyota’s Parts Department has all the parts you’ll need for service and repairs. Making your Avalon purchase in Watertown affordable is where our Finance Department comes in. We give you a wide array of financing options. These include all current Toyota manufacturer incentives for both purchasing and leasing your new Avalon Hybrid Sedan, plus other options that can help customers who may think that financing is beyond their reach. We are here to help! We invite you to shop the Waite Toyota site online. There you can browse through and research our selection of fuel-efficient 2018 Avalon Hybrid Sedans at your leisure. And remember, if there’s a color or option package or anything else you’d like to have but can’t find – ask us, we can get it for you! Waite Toyota is your source for a 2018 Toyota Avalon Hybrid for sale in Watertown KY. We have a great selection, professional sales staff, excellent service and parts, and financing options that will get you behind the wheel today. Contact us today for a test drive and see what the Waite Toyota difference is!